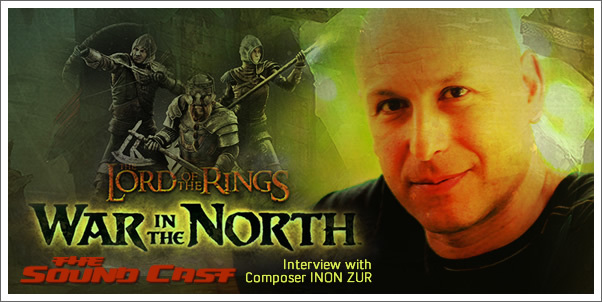 Composer Inon Zur, a devoted Tolkien and Lord of the Rings fan talks about his latest composing project: Snowblind's LORD OF THE RINGS: WAR IN THE NORTH. He talks about how appreciates the differing challenges that such games provide, the experience of conducting 3 live performances of his music at E3 this year, and more! 02:35 — How were you feeling the day of the game and score release? 07:26 — What was your connection to The Lord of the Rings prior to this project? 09:33 - How did you come on to this project? 15:09 - Starting from scratch or buidling onto an existing musical world.